"Willy Loman is on his last legs. Failing at his job, dismayed at his the failure of his sons, Biff and Happy, to live up to his expectations, and tortured by his jealousy at the success and happiness of his neighbour Charley and his son Bernard, Willy spirals into a well of regret and reminiscence." In the snap-happy world of celebrity, Arthur Miller is perhaps more famous for his ill-fated fling with Marilyn Monroe than for his plays. However, in the worlds of stage, screen and even schools, Miller's plays are still incredibly treasured and well-liked. The notion of being "well-liked", and the use of this phrase, is something that dogs Death of a Salesman's main character, Willy Loman, throughout this early Miller play. As well as being an aspiration with which he pressurises himself, it also becomes a stick with which he metaphorically beats his sons Biff and Happy. Death of a Salesman is also riddled with irony, with this being most immediately present in Happy's name (or nickname, we should say, as his real name is revealed to be Harold). One is left wondering how he ever managed to acquire it, as it hardly proves an example of nominative determinism. Thanks to Willy's forceful style of parenting, Biff and Happy are both made to feel like failures, unable to fulfil the high expectations set out by their father in the wake of the Great Depression and the nascence of the American dream. Willy's self-perceived failure, too, to achieve these goals also lends the play an underlying tinge of sadness and desperation throughout. It is also this touchstone of the American dream that contributes to Death of a Salesman's popularity in schools, as it has echoes of the dream held by the protagonists of Of Mice and Men - another highly popular GCSE text. Furthermore, Willy's desolation, and the densely descriptive stage directions, parallel those seen in The Glass Menagerie (one of Tennessee Williams' most famous plays, frequently studied at A Level). These comparisons are easy fodder for schools and exam boards, and also enable the texts to be studied extrinsically. There are further similarities between The Glass Menagerie and Death of a Salesman - particularly in terms of the surreal set design and non-chronological structure. These elements mean that at times the latter play particularly can read confusingly on the page, with Miller's ideas at times being difficult for readers to visualise. However, as plays are written to be seen and not read, this may be a moot point unless you happen to be a director (in which case, your interpretation can be as strict or loose as you wish anyhow). However, intrinsically speaking, Death of a Salesman's appeal is evident. The human conditions of Willy, Biff, Happy and wife and mother Linda are easily conditions in which any modern reader may find themselves: failing to achieve their dreams, the struggle for popularity, being downtrodden by dominant family members, talking up our paltry achievements in an attempt to impress others, the feeling of life as a treadmill that slips away under your feet, and treating life as a party rather than settling down are all situations in which today's readers and viewers can find themselves. 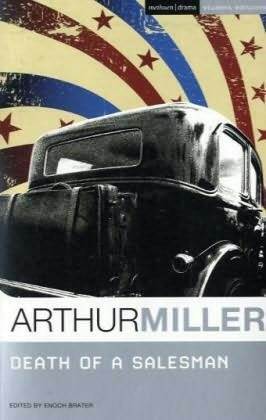 This timelessness is the hallmark of a real classic, making it clear why Miller's plays are still so "well liked". A complete list of Arthur Miller's works can be viewed on Wikipedia.